I can not figure out which extension requires the permission. There is no pop-up or anything, just this annoying info bar that wants me to "Go to Extensions". 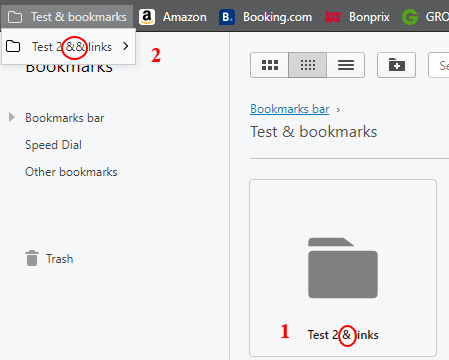 RE: Opera Glitch: Double Ampersands ('&&') in Bookmarks Bar! This bug was reported over 4 years ago and it's still not fixed. Addons settings get preserved though. I didn't have to re-configure anything. My aforementioned Whatsapp crash seems to be fixed with this version. Awesome job! Going back to 56.0.3003.0 fixes this issue.